Sydney is sparkling with Christmas cheer. 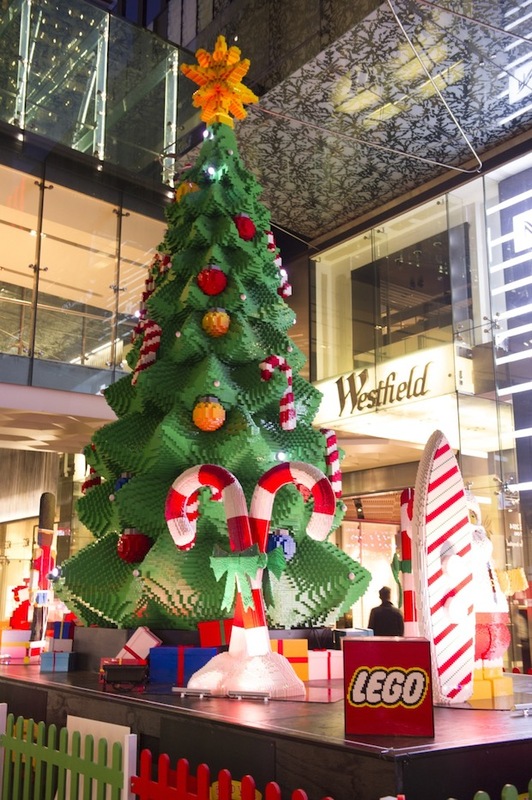 If you’ve been into Pitt Street Mall recently you may have noticed a GIANT LEGO Christmas Tree. Let’s face it, this tree is pretty hard to miss. In fact this is the largest LEGO Christmas Tree is the Southern Hemisphere and is bigger than a two-storey house. It took half a million LEGO bricks to build it and it weighs 3.5 tons. This monster tree took over 1200 hours to build and you can watch it all happen in this time lapse footage below. 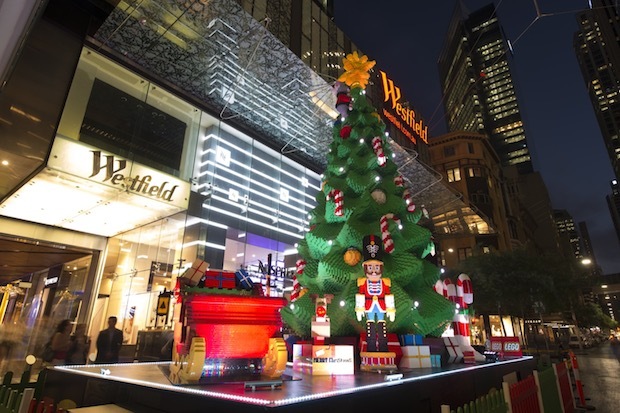 A visit to the LEGO Christmas Tree is a fun, free, family activity and great to keep the kids entertained during your city Christmas shopping expedition. But if you’re not into the biggest how about the highest ? 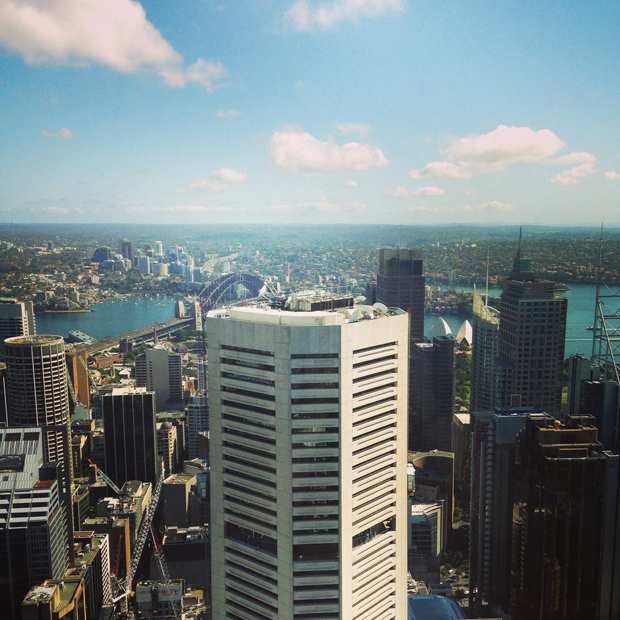 The spectacular view from the Sydney Tower Eye. This year Santa has set up his Grotto 250 metres above street level. The Sydney Tower Eye has been transformed into a Christmas wonderland. Not only can you get breathtaking views of our beautiful city you will also be able to take home a reminder of your Sydney Tower Eye visit! 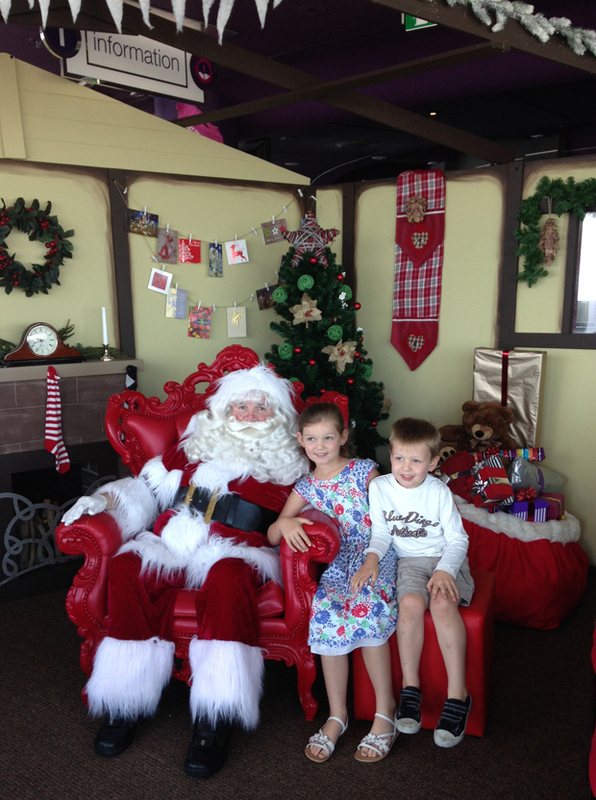 All guests of the Sydney Tower Eye can get a FREE photo with Santa. Santa’s Grotto is open from 29 November through till Christmas Eve. On weekdays you can visit with Santa from 4 – 7pm and on weekends from 11am – 6pm. Miss J and Little L with the man in red at Sydney Tower Eye.